There wasn't much special about my 2001 Toyota Solara. When I bought her in 2006, I wasn't looking for that specific model. I needed a reliable car at a good price to get me to my work in DC. It was a departure from my previous two antique Benz. The last of which I had transported to Maryland from Mississippi. That 280SE served me well but just wasn't a commuter vehicle. It was sad to see her go, too. I think vehicles not only represent some extension of our personality but they also represent freedom. It's the ability to travel anywhere at anytime. This isn't an issue in larger cities with well established public transportation. There, much of what one wants to do or get to is within walking distance. They're also somewhat part of the family. Life is lived in these machines. The take us to or are directly involved with the good, bad, and ugly times. So, when they are wrecked beyond repair or are suddenly no longer worth putting more money into - as was my case - there's a loss. For me, it was a sense of mourning. Added to that was some embarrassment. I was certain this issue was an AC compressor failing because I had researched it and gotten an opinion from two mechanics. 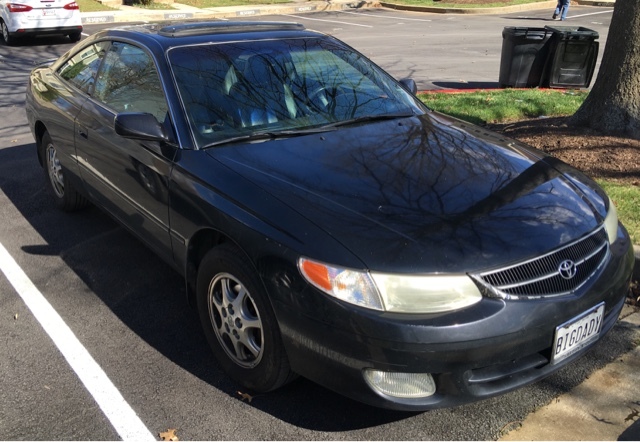 Instead, the buyer of the car identified the Solara having a leaking head gasket and the loud noise was actually coming from the engine. On the plus side, if I had towed it to my mechanic to get the compressor fixed, he would've diagnosed the real issue and I would've had to sell it from his lot. Instead, it's no longer outside and will get a new engine and a new life in Virginia. Meanwhile, asking for prayer about finding a new vehicle is perfectly normal for me. The Lord has always guided us to the best vehicles. They've been what we needed and often had what we wanted. Some might find that odd...why pray for God to find a car? I believe the Lord is interested in everything we do. Every decision. Every choice. We can either act on our own and face the consequences of those choices, or we can pray for His wisdom and discernment. I believe His wisdom and discernment are crucial in everything from choosing a job, house, car, and medical procedure to having the words to say during a conversation. I know God will provide the right car at the right time for my family. It certainly may not be when or how I expected, but that really doesn't matter. When He orchestrates the moment, we just need to be willing to be willing.